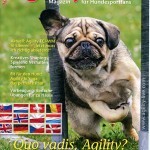 Under the category "Innovations" in issue no. 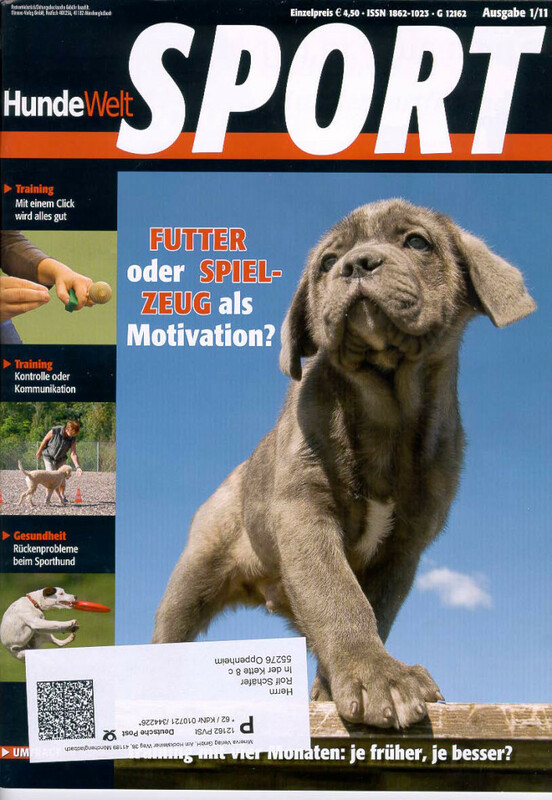 6 November / December 2017, the new RS long jump "Soft" will be presented. 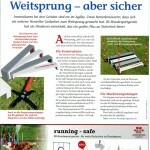 Running Safe-Reifen in the magazine "HundeWeltSport"
As a long time subscriber of the "HundeWeltSport", formerly known as "Agility-World", I was inspired by the article " 2011 - What will the new year bring" - which was issued in the 6/10 volume - to get in touch with the editors of the Minerva Publishing House. 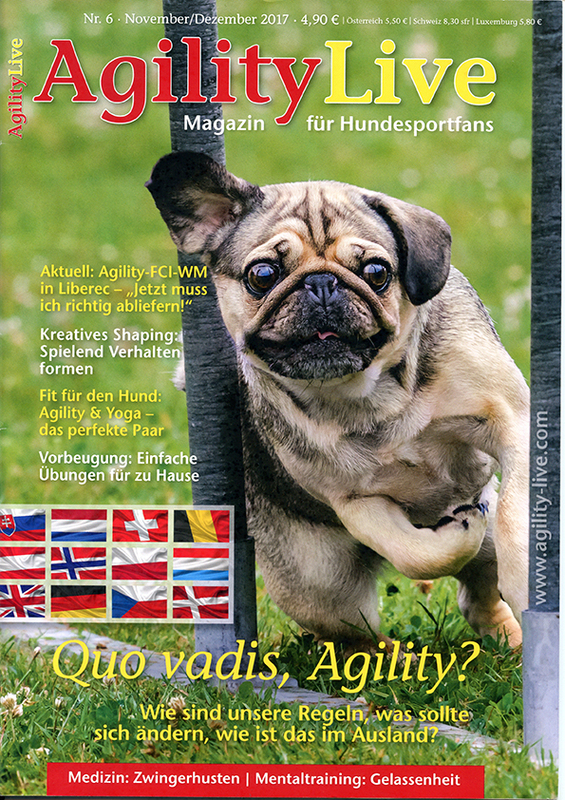 In this article, among other things, a very well renowned agility athlete, Regula FÃ¤ssler from Switzerland, was asked what she desires in terms of agility. 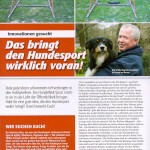 She wishes, "that the obstacles should be adjusted to today's performance of the dogs". 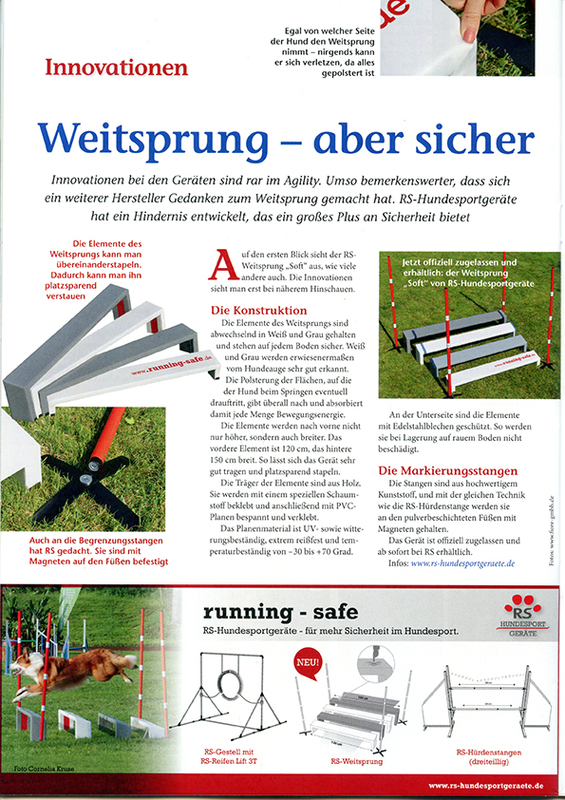 That was the reason for me, to present the Running Safe devices to as many athletes as possible through this renowned journal. Those in charge of the editorial shared my point of view. 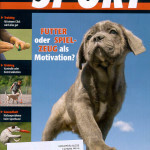 Since like it is written in the article "the health of the dogs is what I care for most" which I, and I am convinced that all dog sport athletes, whether agility, obedience, or Dogdance ...appeal to. 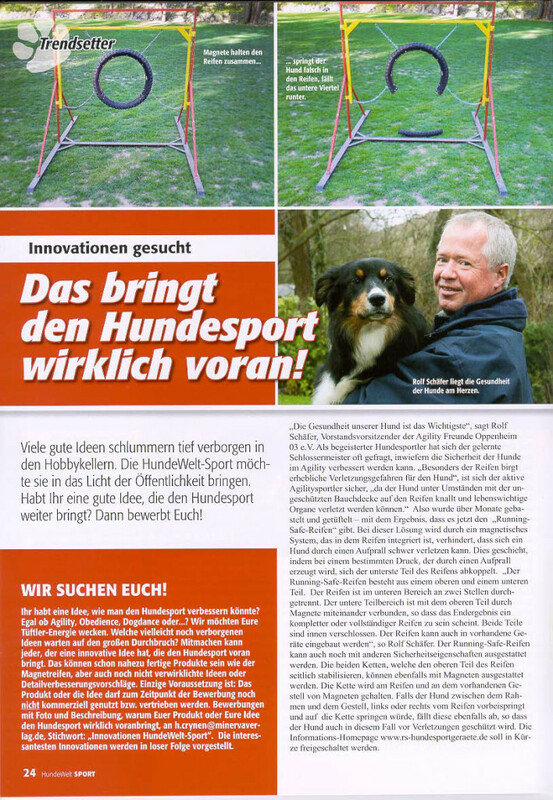 I am particularly pleased that the editorial are now - with the release of the article about Running Safe tires below the heading "Trendsetter" - looking out for collecting more ideas to bring the dog sport ahead, for our common goal which should be to minimize the risk of injury to the dogs.